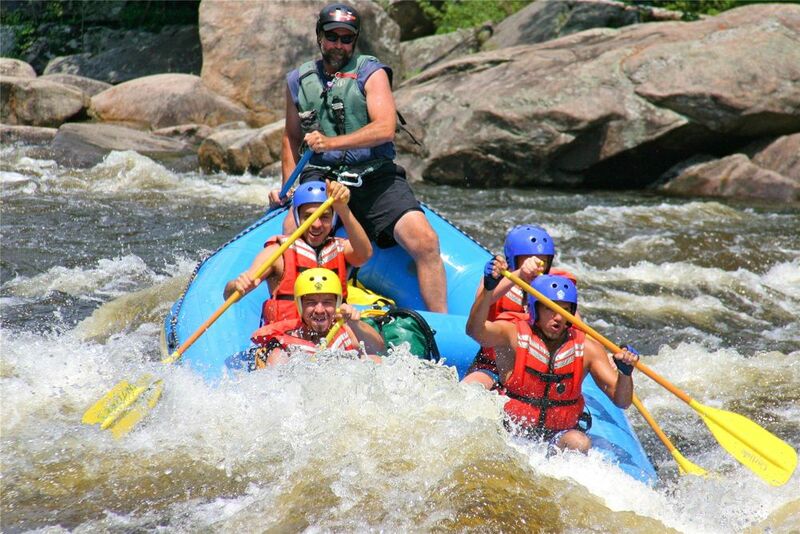 Whitewater Rafting is an exciting way to access some of New York’s wildest areas. In the Adirondacks, scheduled dam releases from the Lake Abanakee Dam on the Indian River insure a six-month long rafting season that is unique in the northeast. Whitewater rivers in New York are technical. Lower water volumes force rafters to navigate narrow, boulder-strewn channels. This requires well-developed river-reading skills, paddling precision, and an understanding of hazards like strainers and undercut rocks. Our rafting directory is a good place to start when looking for experienced guides.